Bertie the Bat is a luxury plush dog toy by Danish Design. Measuring 10 inches, Bertie is most suitable for medium-large dog breeds or smaller breeds who like a challenge. 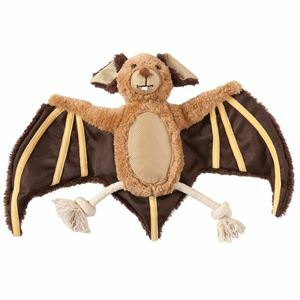 Danish Design are well known for their impressive range of quality dog toys and Bertie the Bat is a fine example with multi textures and rope legs.